Groton, CT – The Chelsea Groton Foundation approved funding $315,663 in grants to 40 non-profit organizations from Connecticut and Rhode Island this fall. Included in this dollar amount is a $100,000 grant to NCDC for Global City Norwich, a multi-year project of revitalizing Downtown Norwich, as well as a commitment of $100,000 over the next five years to the National Coast Guard Museum Association, Inc. Chelsea Groton is the first mutual or community bank to give a major gift to the campaign for the building of the future National Coast Guard Museum. The total dollar amount being distributed through Foundation grants this fall is over $243,000, the greatest total awarded to area organizations in a single giving cycle since the Chelsea Groton Foundation was founded. Inclusive of these donations, the Foundation has provided over $3.2 million in total grants to the community since 1999. The Foundation reviews applications and awards grants two times per year. The grant to NCDC is the second $100,000 grant the Chelsea Groton Foundation has made to the Global City Norwich program. Funds will be used specifically to identify and train entrepreneurs of many cultural backgrounds, build partnerships in order to help entrepreneurs find appropriate storefront spaces and funding for their businesses, and create a thriving downtown environment that will ensure increased traffic in area businesses. Fall grant awards included: $5,000 to the American Red Cross for disaster cycle services in New London County; $7,500 to Catholic Charities, Diocese of Norwich for emergency basic needs; $10,000 to the Furniture Bank of Southeastern CT to purchase beds for families in financial need; $1,000 to the Salvation Army for the Go Forth Youth Initiative; and $5,000 to New London Community Meal Center, Inc. for their soup kitchen. Each year, Chelsea Groton Bank and the Chelsea Groton Foundation support more than 200 local organizations through monetary gifts, grants, sponsorships, scholarships and employee volunteerism. More information, including a list of all fall grant recipients, is available at chelseagroton.com/CGFoundation. 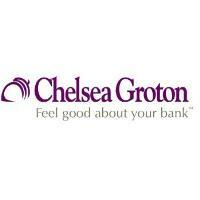 The Chelsea Groton Foundation was formed in June 1998 as a Section 501(c) (3) organization. Initially endowed with a $2 million donation from Chelsea Groton Bank, and recently gifted an additional $5 million from the Bank, the Foundation has, to date, awarded over $3.2 million in grants to hundreds of scientific, educational and charitable organizations located within the Bank’s market area. To learn more, visit: chelseagroton.com/CGFoundation.